Der Artikel Family (US-Metal): Future History wurde in den Warenkorb gelegt. Das Brooklyner rootsy Progressive-Metal-Kollektiv Family sorgt mit seiner einzigartigen Mischung aus klassischem Rock und moderner Härte bereits seit 2011 für offene Münder, nicht zuletzt dank ihrer gesunden Dosis Groove Marke New Orleans im Verbund mit vertrackten Rhythmen. Die Dynamik und Musikalität organischer Gruppen wie Led Zeppelin, Tool, Mastodon, Baroness oder Torche kommen als Vergleiche in den Sinn, doch vom ersten Ton an steht fest, dass Family mit ihrem ureigenen Stil eine Marke für sich sind. In einer Zeit voller Setzkastenmusik, wiederaufgewärmter Sounds der Vergangenheit und Effekthascherei streben Family nach einer eigenständigen Identität, mit der sie neben den ganz Großen des Genres bestehen können. Als Geisteskind von Musiker/Filmemacher/MetalSucks-Schreiber Steven Gordon verfolgen Family einen lockeren Kollektiv-Ansatz, der Besetzungswechsel zum Wohle der Weiterentwicklung ihres Stils nicht ausschließt. Brooklyn's rootsy progressive metal collective FAMILY has been wowing audiences since 2011 with its unique and earnest blend of classic rock meets modern heaviness, alongside a healthy dose of behind-the-beat New Orleans groove and progressive rhythmic patterns. 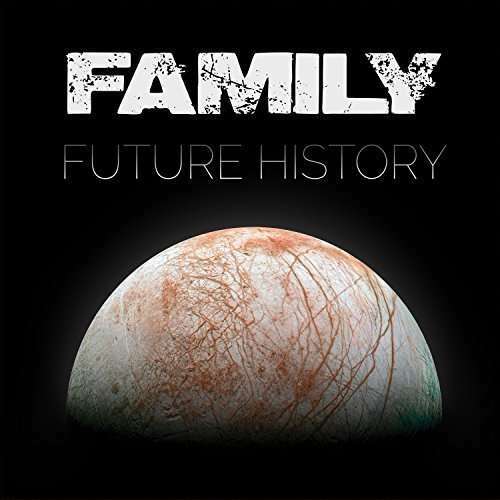 The dynamics and musicality of organic groups such as Led Zeppelin, Tool, Mastodon, Baroness, and Torche come to mind in comparison, but it is apparent from the first note that FAMILY's fiercely original style is very much its own. In a time when so many cookie-cutter replicas, rehashings of the past, and gimmicky niche bands run rampant, FAMILY strives to forge an autonomous identity that earns its place on a list of the classic greats. The brainchild of musician/filmmaker/MetalSucks writer/ native Manhattanite turned Brooklynite Steven Gordon, FAMILY has embraced an amorphous collective approach, enduring lineup shifts that ha ve continuously evolved the band's sound. FAMILY's electrifying debut »Portrait«, a concept album about a dysfunctional family that develops supernatural powers, was released in 2012 on Robin Staps' (The Ocean) label Pelagic Records (Cult of Luna, Mono, The Ocean). »Portrait« was produced by bandleader Gordon, engineered and mixed by Justin Mantooth at Translator Audio (Unsane, Cave In), and mastered by Alan Douches at West West Side Music (Mastodon, Baroness, Torche). The same production team has reunited for Future History - FAMILY's new album and first collaboration with Prosthetic Records - which features compositions and interludes performed by Gordon on guitar/keyboards /percussion /vocals, Kurt Applegate (Beast Modulus, Last Hours) on bass/vocals, Joshua Lozano (Fashion Week, Cobalt, Jarboe) on guitar/harmonica/ upright bass/vocals, and Jody Smith (Beast Modulus) on drums/percussion. Vocalist Jason Sherman (Torrential Downpour) and guitarist Owen Burley (Beast Modulus) currently round out the collective's extended performing family. The distinctly cinematic vibe of Future History is directly related to its creative process: lyrics and themes throughout are based on a screenplay about the evolution of the human race that Gordon and Michael Arginsky devised when the two were classmates at Boston University's film school.